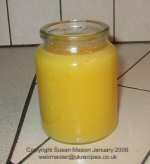 Jams are easy to make if you follow our simple instructions with pictures and in some cases videos. Seal them and they will keep for a year. Click any description below to be taken to the full recipe all of which have been tested at least twice. Submit your recipe to us and we will publish it for all the world to see! Click here to go to your recipe submission page. This will be a template area and not editable. Cranberry sauce is extremely easy and quick to make and unbelievably tasty. Only four ingredients are needed, cranberries, clementines, sugar and port. 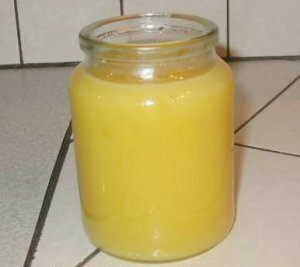 This is a classic and very tangy lemon curd. Spread it as thick as you like on fresh baked bread or hot toast slices. It's also delicious on your pancakes. A bitter sweet jam with a real adult taste. 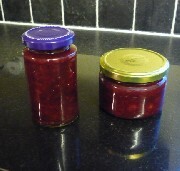 Damsons have a high pectin content which ensures the jam sets very well. This is your answer to the glut of ripe tomatoes that you have in your garden or greenhouse. A delicious lightly spiced chutney to eat with cheese or cold meats.